Book Club (which is out on blu-ray this week!) was never really gonna be my cuppa - it's only aggression is how aggressively white-bread it is - but it sure could've, and should've, been worse than it is. I don't know if that's precisely a recommendation, but it's not not one - if you wanna see Book Club, see Book Club, it's not gonna kill you. If you wanna see Book Club you already know what you're in for, and that's exactly what it is. It's a perfectly pleasant time hanging out with four great actresses with scarcely a hint of plot around - they read some books, they club it up, the end. Best in show for me was Candice Bergen but I think that's because I had the least expectations aimed at her - I watch Diane Keaton now and I always feel a little sad I'm not watching the Diane Keaton of the 1970s and 80s, who pushed herself and delivered; same with Jane Fonda. They sure don't push themselves here - they wear gorgeous clothes and look refreshed from their air-conditioned trailers. 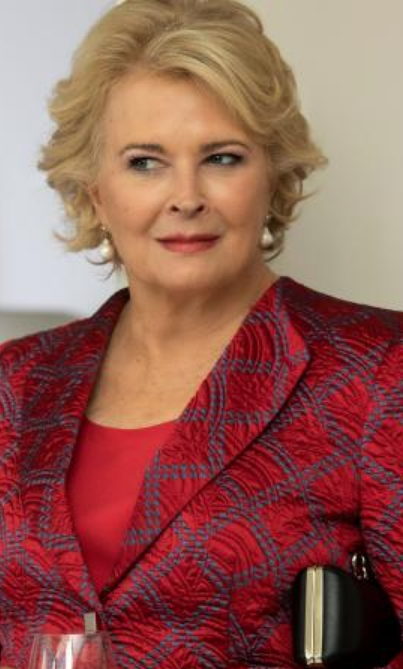 But Candice Bergen at least has a character arc, an unexpected and nonlinear one at that, and she's sweet and funny and sad, and I'd have watched a movie just about her. Mary Steenburgen acquits herself well too, although her character veers into some unrealistic actions at times that felt like pre-diagrammed Funny Moments instead of Normal Human Behavior. Bergen keeps things neat. I think Candice Bergen commands the movie. I'm not a huge Jane Fonda fan (I can't get over what a phony she is), and she seems to be phoning her performances in now. Keaton has always delighted me, even when the material is beneath her. I agree, though, she's not working like she did in her finest performances: Shoot the Moon, Reds, etc. Steenburgen is fine in it, but she has the weakest role in it.